Boost your PC speed. And your productivity. Let us do the daily PC chores for you. Why waste your or your admin's time on routine tasks? AVG PC TuneUp for Business does it all for you: Automatic Maintenance and integrated health and performance advisors help speed up and clean up your computers automatically. All Windows® systems need regular health and performance inspections: AVG's Automatic Maintenance fixes and helps optimize 6 core operating system areas. Check your monthly Optimization Report to learn all about the optimizations that have been performed on your PC clients. Work faster & save time. Over time, your desktops and laptops stop working as efficiently as they once did, often leading to sluggish programs, annoying load times, stability issues, and slow boot ups. AVG PC TuneUp for Business helps prevent this gradual slowdown and helps boost PC performance to day-1 levels. Patented Program Deactivator technology automatically turns off resource-draining background activity that slow down your PCs – and your business! Had enough of lags and loading times at work? Live Optimization's algorithms intelligently and automatically focus your processing power on the task at hand. Gone are the times you could drink a coffee in the morning while waiting for your PC to start up. 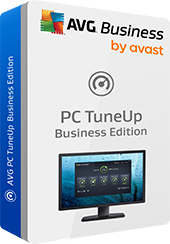 AVG PC TuneUp's Startup Manager is the key. Get more space for what's important. Windows and your programs continuously accumulate invisible data residue. AVG PC TuneUp's cleaning functionality helps you save precious storage space for your business-critical files. AVG Disk Cleaner detects leftover files in 28 Windows features and 220+ third-party applications. And AVG Duplicate Finder helps you find duplicate files, like PhotoShop files and accidental backups. AVG Browser Cleaner removes over 60 different types of browser traces left behind from over 25 browsers, including Internet Explorer®, Google Crome™ and Firefox®. 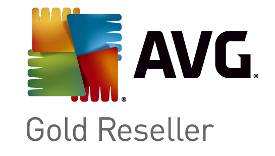 AVG Uninstaller identifies software you or your staff haven't used in a while and allows you to easily remove it for more performance and disk space.